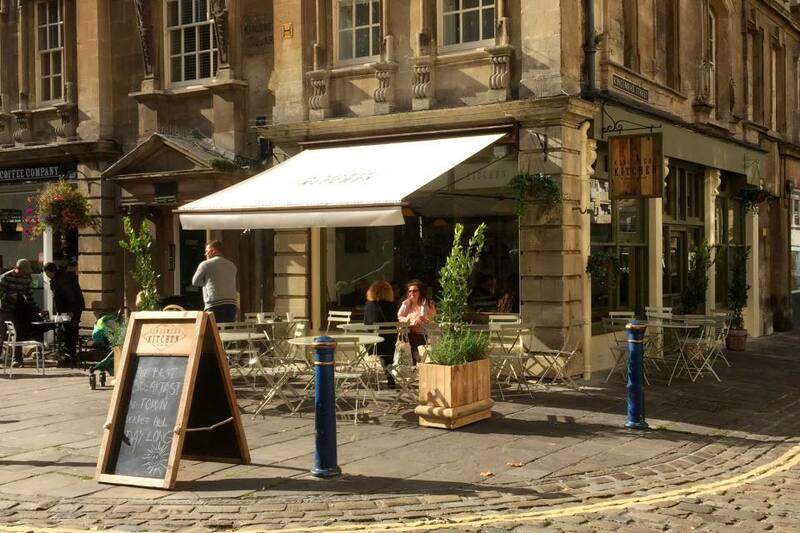 Bath is quite literally filled to the brim with great places to eat and drink. When we visited in January we ate at a few that we could fit in, but I’d happily return to try out some more of the restaurants. As Bath is steeped in history there are so many restaurants in historic buildings which, for me, make dining there even more special. I’ve pulled together a list of a few of the places we have tried, a few that have been highly recommended by the Queensberry Hotel staff and those that friends have tried and tested. Using only local suppliers, The Kingsmead Kitchen prides themselves on their hearty, tasty and traditional food with a European twist and their coffee. Breakfast is served all day which is always a win in my book as it means I don’t have to get up early on my trip away! Boston Tea Party is a chain that I love for a few reasons. One of them of being the banging breakfasts they serve, but the other being the fact that they were the first coffee chain in the world to stop single-use coffee cups! The Smoked Salmon, Avocado and Scrambled Eggs on sourdough toast is proper dreamy. If you’re looking for an all-day breakfast option then this is the place for you. The ‘Big Breakfast’ comes complete with 2 rashers of Back Bacon, 2 Pork Sausages, Black Pudding, Fried Egg, 2 Hash Browns, Heinz Baked Beans, grilled Mushrooms & Tomato with toast, now who doesn’t want that in their life?! The Wild Cafe is open from 8am so it’s one for the early birds. You can also see your food cooked right in front of you in their open kitchen which is something I always enjoy watching. The Wild Cafe uses local supplier’s, runs on 100% renewable electricity, and they recycle, re-use and they’re on a mission to create the World’s first zero carbon Eggs Benedict! I’m quite into decor and the interiors of Clayton’s Kitchen are very much my kinda vibe. The menu’s here are seasonal which means their aim is to keep the ingredients fresh and flavoursome. Lunches are two courses for £20 or three courses for £25 and their Spring Menu is bursting with great dishes like the Roasted Corn-Fed Chicken Breast served with Boulanger Potatoes, Celeriac Puree, Green Beans, Toasted Almonds and Porcini Sauce. If you’re looking for something a little different with a sandwich menu that will leave you wanting to pick every option then you’ve got to head to Same, Same, But Different. There are great vegetarian and vegan options on the lunch menu too and you can add chunky chips to your sarny for less than two quid. The Pump Room, as you may have guessed, is right next door to the Roman Baths and is a bit of an establishment in Bath. They have one course, two course and three course lunch menu options so go easy on the breakfast if you’re planning on lunching here; the Pump Room Chocolate Sundae is well worth it. 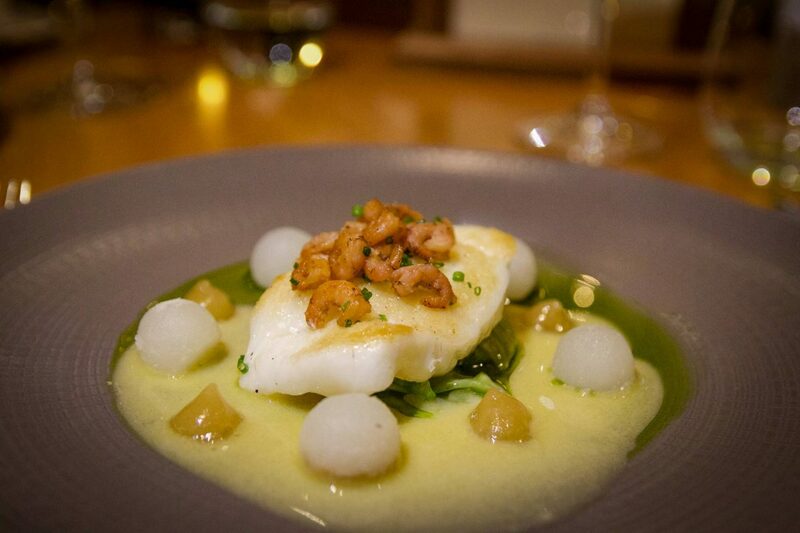 Fishy by name and fishy by menu, The Scallop Shell is a fish lovers dream. They’re passionate about promoting the quality and provenance of seafood from UK and they source all of their fish from small artisan day boats so they are helping to do their bit for sure. They use only the finest potatoes from local farms for their chips too. When we visited the Marlborough Tavern, it was my first veggie roast dinner of the year and I was blown away by it. My meal consisted of Butternut Squash, Wild Mushroom and Spinach Wellington, served with Roast Potatoes, Seasonal Vegetables, and was drizzled with a Cranberry Jus. Mike loved his Roast Sirloin of ‘Ruby Red’ Beef so this lunch comes highly recommended. If you’ve got a car and are willing to venture 4 miles out of Bath City Centre then this 16th-century farmhouse will welcome you with open arms and proper good roast dinner. They serve Real Ales, local Cider and an impressive, as well as attractively economical Wine to go with your meal too. If, like me, you’re rather into your beers then you’ll enjoy a trip to the Bath Brew House as it’s home to its very own microbrewery. If having a range of changing home-brewed beers on tap isn’t a big enough pull then their giant Yorkshire puddings will definitely hit the spot. The Victoria Pub and Kitchen is a homely, rustic pub that serves up the best of British Cuisine. It’s in the perfect location to stop by to refuel after a long stroll through Bath’s Victoria Park. There’s plenty of meat and veggie options when it comes to their Sunday Lunches too. 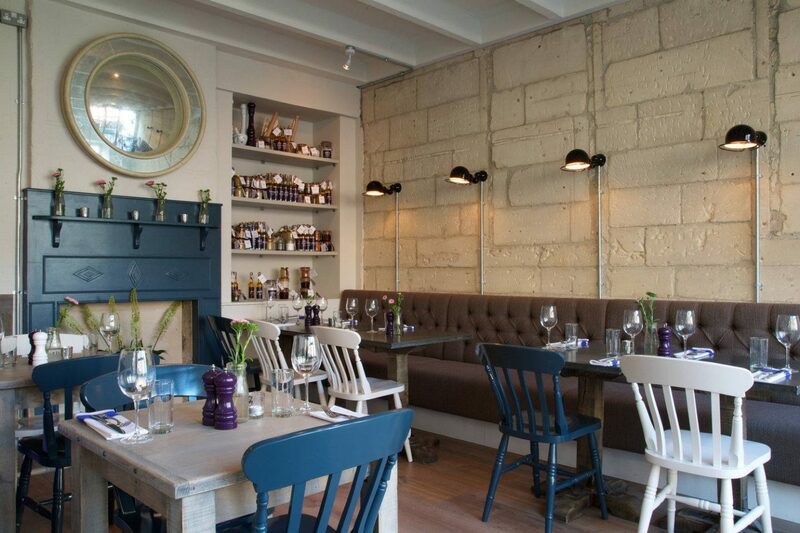 The Olive Tree is the only Michelin star restaurant in Bath and is so worth a visit. Being part of the Queensberry Hotel we dined there during our stay and I’ve waffled about all the courses, 12 between us, that we devoured during our visit here. Sotto Sotto has been awarded Best Italian Restaurant in Bath at the Bath Good Food Awards and dining underground in vaulted cellars certainly gives it an edge. They rely on the quality of their ingredients to make their simplistic dishes come to life. This is a firm favourite with locals and only a tiny restaurant so be sure to book ahead. Acorn’s menu is 100% plant-based dishes and it has been noted that even the biggest of meat eaters leave here having enjoyed the menu. 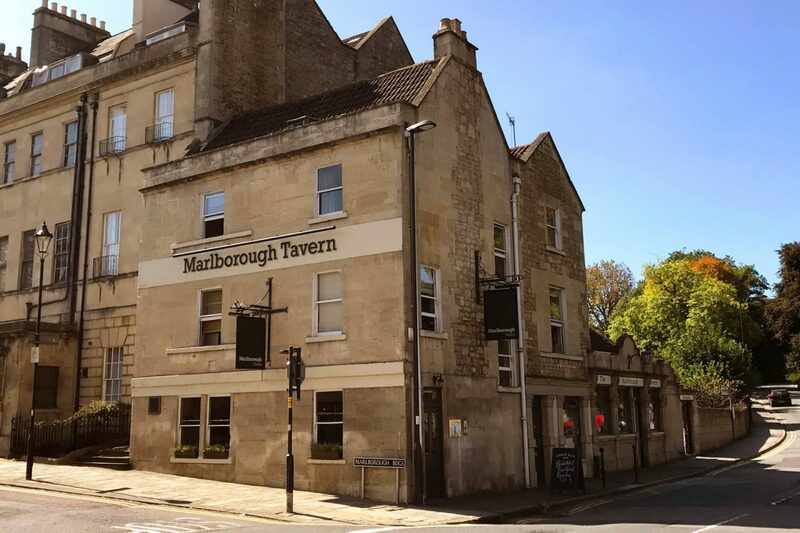 Housed in one of the oldest buildings in Bath, their classic menu will set you back £30 for two courses and everything on their sounds divine. The Royal Cresent is the most famous address in Bath so why not treat yourself to dinner on it. The fresh, locally sourced produce is used to create a tantalising range of meals the promises to take diners on an unforgettable culinary journey, so why not take that journey yourself and give it a go. "The Best Quirky Places to Drink in Soho"